We know that shopping for glasses online can be scary. What if they don’t fit? What if they don’t look right? It's okay. You can try 5 pairs for 5 days for free. We know that shopping for glasses online can be scary. What if they don’t fit? What if they don’t look right? It’s okay. You can try 5 pairs for 5 days for free. Find 5 frames you dig. Try ’em out for up to 5 days. Spend some time with your new frames to figure out which ones make the cut. There's absolutely no commitment. Find some frames you love? Sweet! Head back here to add them to your cart and place your glasses order. Find your perfect frame without leaving home. 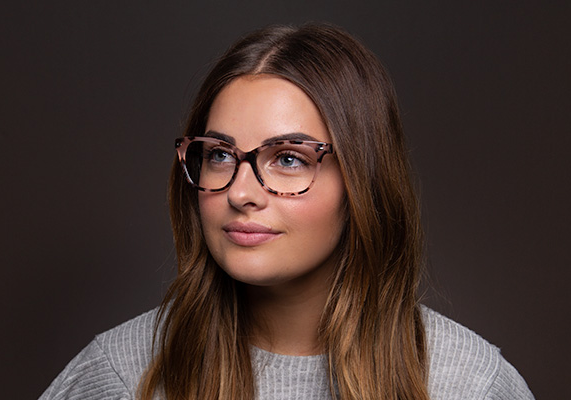 Virtually try on all of our frames to quickly see which ones fit your style. 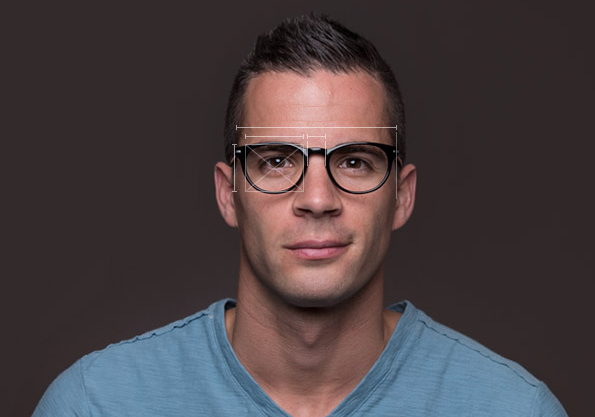 Use the dimensions on your current frames to find glasses with a similar fit. It’s easy and only takes a few seconds. Yes. We realize that, typically, if it seems too good to be true, it probably is. This is the exception to the rule. We aren’t going to transfer a diamond mine into your name and we aren’t going to make you sit through a 90 minute timeshare presentation. We just really think you’ll like our glasses, so we’re putting our money where our mouth is. How many glasses can I try at a time? With our In-Home Try-On, you can try up to 5 pairs at a time. And if that’s not enough, with our Virtual Try-On, you can try on as many as you’d like, instantly. When does the clock start on my 5 days? We’ll start the clock when your shiny new glasses are delivered to your door. Will the glasses include demo lenses? The glasses will come without lenses. This way, you can take some super sweet selfies without the demo plastic getting in your way. How do I return my Free In-Home Try-On? Drop all five frames back in the box, peel off the current shipping label to reveal the prepaid return label then drop the box in the mail. Easy peasy. I have a sweet discount code. How will that work with the In-Home Try-On? It’s easy—hold onto your discount code and add it to your final order. What if I damage the frames during my In-Home Try-On? Are you going to be a jerk about it? Eihei Dogan, an Eleventh Century Buddhist Monk had many wise words of wisdom he shared, including “Don’t be a jerk.” We adhere to that. While we hope you treat our glasses with the respect they deserve, these 5 days are basically a free pass for you. Regardless of the condition, if you return the frames within the 5 days, you won’t be billed for them. Period. Hold up—if In-Home Try-On is free, why do you need my credit card? Rest assured that our In-Home Try-On is completely free! We ask for your credit card number, mainly, to stop the Glasses Bandits, a very well-organized, secret gang with a glasses fetish. We’re fully on board with the glasses fetish – just not the stealing part. What if I just can’t decide between a couple pair of my In-Home Try-On glasses? Can you help? We thought you’d never ask. There is nothing we love more than giving opinions on how people look in glasses. Chat with us, email us, tag us in social media @liingoeyewear and we’ll be happy to share our glasses wisdom with you.